One of the first things you see in any fragrance press release or magazine editorial, besides the ubiquitous advertising with a model in the throes of ecstasy, is a list of notes that the fragrance contains. Usually, they are arranged in pyramid form with top, middle and base notes carefully separated. It seems like this would provide a useful roadmap, a way to envision a fragrance as it would develop on the skin: first, you will smell citrus and fruity notes, then you will smell florals and then some time later, you will enter the world of solar musks and cashmere woods. The problem with this neat design is that it is a myth as it pertains to modern fragrances. 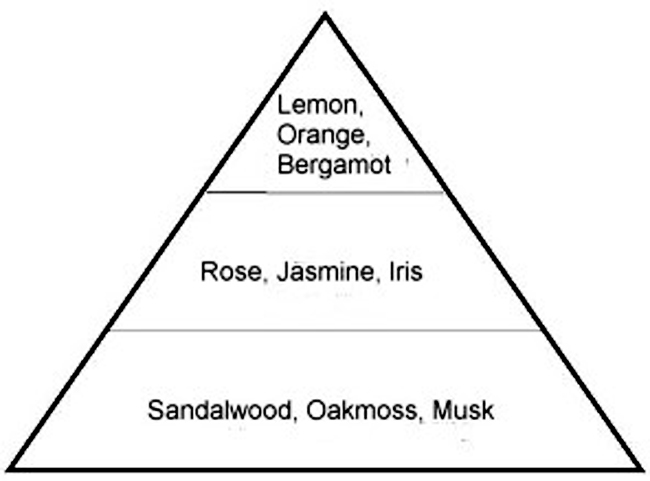 Most contemporary fragrances are not built in a fragrance pyramid style, so the fragrance will not develop according to the pyramid description. More importantly, the list of notes tells only a small part of the story and is heavily driven by marketing considerations. While the fragrance notes are definitely helpful in some ways, they should always be seen as a rough guide to unexplored terrain. A perfume is a mixture of scented materials with its own distinctive character that is more than just a sum of its parts. Since fragrant materials differ in their volatility, the olfactory impression of the fragrance changes as it dries down on skin. The pyramid is only one of the fragrance structures found today, and it mostly applies to perfumes created between the 1930s and 1970s. The study of different materials and their classification in terms of their volatility was perfected by the perfumer Jean Carles (1892-1966,) whose own work on such great classics as Miss Dior (1947), Dana Tabu (1932), Carven Ma Griffe (1946) and Schiaparelli Shocking (1937) exemplifies the classical pyramid structure. These fragrances are built with a very interesting three-dimensional quality, with the characters of the top, middle and the base being very distinctive. They are like three different subplots, weaving a memorable story with an unpredictable end. Earlier fragrances, including most Guerlain fragrances like Shalimar and L’Heure Bleue, are not built as a classical pyramid. Their original structures were much closer to the fragrances of the 19th century, which are based on the use of natural essences (large amount of bergamot and lemon in case of Shalimar) fixed in place by oriental and animalic materials, including the newly discovered synthetics like vanillin and coumarin. Fragrances made today no longer adhere to the three-tiered structure. Over the past 30 years, there has been a marked shift away from the fragrance pyramid and into new structures that give different impressions. Consider modern classics like Christian Dior Dune, Chopard Casmir or Yves Saint Laurent Paris. Instead of being built like delicate tapestries in tiny strokes, many modern compositions are instead like cubist collages. In Dune, for instance, the warm oriental base of amber, musk and sandalwood is obvious from the first inhale. Of course, the light and effervescent bergamot, mandarin and marine notes set the tone, but the essential character is there from the start. To use a musical metaphor, the leitmotif is there from the first movement, and even if you hear a violin at one point, or a flute, the character remains unchanged throughout. Some fragrances might even miss a top note in the classical pyramid sense altogether, with the initial impression being set by a small amount of extremely strong materials, like Casmir, where most of the character comes from the accord of musks, vanillin, hedione (jasmine reminiscent aroma material with remarkable radiance,) and cedarwood notes. A strong fruity note runs through the entire structure, giving a lift to the heavy oriental accord. Perfumer Jean-Claude Ellena, whose fragrances for Hermès are like watercolor etudes, builds his fragrances in a different structure, but with a similar panoramic effect. In general, fragrance composition is now done very differently from what it was like in the past. Some new parameters have become more important, from the aesthetics of color to the process of manufacturing the fragrance. Water-like juices or blends that can be colored light pink or light blue are among the most preferred choices, which limits the palette of available materials to those that are colorless or those that will not discolor during maceration. As fragrance companies shift more to mechanical fragrance compounding, it affects what goes into the fragrance and also how many individual materials a fragrance will contain (shorter formulas are quicker to compound, hence they cost less to produce in human labor.) Above all, the number of new fragrance launches means that consumers make decisions based on their first impression. Therefore, modern fragrances do not bury their lede, and by and large they are open stories, with little vignettes to provide interest to the narrative. This does not mean, of course, that the fragrances are boring—most niche favorites like Serge Lutens, Hermessence, L’Artisan Parfumeur, and Annick Goutal fall into this category as well. Modern fragrance structures may not necessarily be simple either, as the creative layering of accords can result in fragrances of remarkable complexity like Thierry Mugler Angel or Cartier Déclaration. After all, it is not about how the story is narrated, but what it actually says. So if the fragrance pyramid is an outdated construct, why this discussion? First of all, despite the fact that the pyramid does not well represent contemporary fragrance structures, it is with us to stay for a long while. Second, I find that understanding the fragrance style helps to know what I am smelling. A modern fragrance like the latest from Guerlain, Tonka Impériale, is a good example of a modern, panoramic fragrance. It is essentially a classical Guerlain accord of tonka bean, vanilla, woods and coumarin (sweet almond-hay note) with a hint of spice to give it interest. Its sweet, opulent character is obvious from the start, and its dark and luscious story will be with me until I wash it off. By contrast, Grès Cabochard would require much more patience from me before I see its seductive leathery drydown under the bright citrusy top and the green iris heart. Some days, one feels like reading War and Peace, and other days a short story by Jhumpa Lahiri will be delightful. The pyramid should also be taken with a grain of salt because the list of notes is often just a marketing concept. Some brands are averse to the idea of listing musk as a note in their fragrance (even though their perfumes contain it.) Others want to emphasize notes that they feel are more suited to their concepts. If the fragrance is launched as the new fruity floral to fill a gap in the brand’s portfolio, its fruity notes will be highlighted in the description, even if they play a relatively minor role in the fragrance composition. The fantasy “iced rose petals” and “luminous jasmines” are probably not that different from the plain rose and jasmine in the descriptions. Moreover, jasmine may not even mean anything that smells like a jasmine flower—it may be a luminous hedione note (that is actually closer to lily of the valley in character) or a raw material representing just one facet of the flower. Finally, those cashmere woods lurking on the bottom of the fragrance pyramid are likely to be Cashmeran, a woody-musky note that actually has a stronger presence in the top. In other words, the list of notes should be read with some skepticism and it should not influence the purchase; the final decision, as always, should be made by smelling the fragrance on skin. Isa: Great article, Victoria! Thank you very much. It’s very interesting. It’s something I have noticed since I started my perfume-hobby. I always wondered where the top notes were because I couldn’t smell them, or they disappeared in few seconds. For me, it would be Nina Ricci L’Air du Temps, which starts with the spring-like breeze suggesting the youth and innocence (Natasha’s first ball,) ylang and rose dominated floral heart of more maturity and depth and that dark woody-musky base conveying wisdom and some melancholy. At least, to me. Victoria: Ann, I feel the same way as you. It is especially true in the mainstream lines, which is why the fragrances have most of their impact in the top notes and then they just wilt to pale woody-musky bases. It does not help that with IFRA regulations, many of the traditional base notes cannot be used. I discovered your blog when I went looking on-line for Miss Dior to replace my decades-old bottle which had finally come to an end. I couldn’t find it in any retail store, and was told that it was “discontinued.” I couldn’t believe it! Other fragrances that I loved, Eau de Rochas, Lauren, Perry Ellis, Maja, were simply…gone. Though strong scents in my garden and essential oils don’t cause any problem for me, it seems that most modern fragrances give me asthma. So I was really tied to these old favorites. When I tried to replace one via eBay, what arrived was completely different from my original. I felt betrayed. But your blog has cleared up my confusions, answered so many questions, and provided enormous knowledge about scent. I LOVE scents and have always kept a fragrant flower and herb garden, wherever I have lived. And my most beautifully powerful memories relate to scent: the smell of a brand new canvas bush tent smells as beautiful as fresh cut hay from my childhood farm. Driving through the farms in summer smells of wet grasses, water in ditches, cows, horses. Even at night you can identify if the fields are dry or being irrigated, and what would be grazing out there. And the night smell of the western deserts, when the wind comes up: juniper and sagebrush and sand. Magnificent! ScentScelf: Very interesting read…and personally, comes as a bit of a relief, as I’ve spent a fair amount of time trying to wrap my head around just what it means to “behave” in the pyramid paradigm…and just what I am smelling/”hearing”/”seeing” when a fragrance seems NOT to play according to those rules. Victoria: Yes, it is not that helpful to try to follow the pyramid scheme. For instance, the top of the pyramid favorite–cardamom. The oil has a really bright peppery-lemony top note, but it also has a really soft, blond wood drydown. In a light fragrance like Jean Claude Ellena’s Un Jardin après la Mousson, you will smell it throughout. 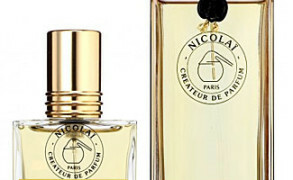 minette: fun to know… and glad to report that knowing more doesn’t kill the magic of perfume. there is still a sleight of hand that goes on behind the curtain, no matter how many molecules or molecular arrangements i become aware of… and i like it this way. 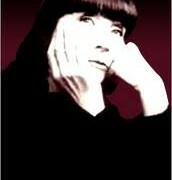 with a really great perfume i can suspend my disbelief and enter another world and time. Elisa: My understanding of the pyramid structure was always that “basenotes” are the ones that stick around the longest, because they are larger, more persistent molecules — to me this doesn’t suggest that you won’t be able to smell them until the drydown, merely that they’ll be much more dominant in the drydown, after the more volatile molecules have mostly evaporated. Though many contemporary fragrances are pretty linear, I still perceive the presence of top notes and basenotes. With a lot of patchouli-based perfumes, for example, you smell it the whole time, but it’s not until 8-12 hours later that patch is almost ALL you smell. Conversely a lot of perfumes contain a bergamot top note, but they don’t all smell the same (i.e., like straight bergamot). This is all to say that I still think the pyramid concept is useful in terms of the nature of the molecules/materials in use, though it may not really tell us how the thing is going to smell. ScentScelf: Oh! I love that description of Goutal. Beautiful…and yes, quite apt. How very funny you should mention her; I have on Eau de Camille right now, a happenstance spritz because I came across my “out of season” basket. (A rather delightful portrait of spring in this weather, as it turns out.) I find that many times with her fragrances, I spray and wince in embarassment a bit, thinking, oh, no, this will be pretty but not me…and I keep coming back to sniff and think how lovely it is, even if it isn’t me…and a few hours down the line, I am realizing how much I have enjoyed the whole trip. Perhaps I was chasing pearls across the floor the whole time, enjoying how they looked all the while…even if I wouldn’t have chosen to put a string of pearls around my neck. Victoria: Cardamom behaves the same way in food, which is why it is such a popular spice in blends for both sweet and savory dishes. If you put it in lamb curry, the lemony-peppery note will give the brightness, while the warm woody note will provide a great counterpoint to the gaminess of the meat. In desserts, it serves to cut down the cloying sweetness… I really adore this spice, and I will do a cardamom series one of these days. Victoria: Sounds like a neat idea! There are many different ways to describe the way perfume develops, and since evaporation of raw materials is a fairly objective parameter, one can devise plenty of new ways besides the outdated pyramid. Victoria: I am so glad that it was helpful! This is a topic on which one can say a lot. Victoria: B, thank you, I am glad that you liked it! Victoria: Thank you! I am glad that you mentioned the counter advisors. I feel that the pyramid does the greatest disservice to them, because it provides them with misinformation and does nothing to make their work simpler. We definitely can do much better than the pyramid, and I am sure that the alternative would not be too costly or difficult to implement: to start, listing fragrance accords to reflect the actual fragrance structure would be better. dee: V., when I got the press release for the Bond no. 9 Oud and saw that it included a MS Word document of a giant pyramid, I laughed out loud. It seemed like such a silly thing to do—but then I felt like a doofus for laughing about it. What do I know? I have been trying to get my podcast on top/middle/base notes together for a few months now, and as I intellectualize and research there is so much more I want to add that I fear it will be a half hour in length. True, the evaporative rates expressed by Piesse and taken up by others, including Carles, are a foundation for “modern” perfumery. The experimental “panoramic” approach which you describe so well is a modern construct, helped by synthetics. And I am thoroughly trashing the revered percentages of t/m/b as taught by Carles and others, myself included for the basic level students. Yes, they need to learn that, and then learn real world manipulation of intensity, volume, body, etc. Then the concept of notes: not just in name, but volatility, is how I approach them. (Natural perfumers are mostly exempt from delving into the fantasy world of accord name silliness – no cashmere wood for us). That is so true. Most times I find the pyramid diagrams very misleading nowadays, since you can smell the different notes at different times or stages in the scent’s lifetime. Sometimes it’s like a spiral, sometimes it’s a cacophony of notes all over the place. and so on. Well, for me it’s like different geometric figures depending on the fragrance, and different tints and shades for the notes! Victoria: D, you are definitely right, it is a useless piece of information. 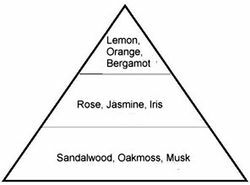 Yet, everyone is so wedded to this pyramid idea… As Elisa commented above, the evaporation of materials does follow certain rules (citrus is very volatile, musk is the least,) but the way you experience the notes and accords in the fragrance depends entirely on how it is constructed. Victoria: Anya, I would love to hear your podcast, even if it is going to be long! As you see, it is a topic that very much interests me. Victoria: “it’s like different geometric figures depending on the fragrance, and different tints and shades for the notes.” I love this way of thinking about different perfumes, and I can relate to it. This is what makes more sense to me. Jay: V, thanks so much for your detailed and thoughtful answer. Such an interesting topic this one. Victoria: Its structure is not designed like a classical pyramid, from what I can gather studying No 5, but of course, it has a very distinctive progression of accords. Ernest Beaux also was known to study the volatilities of the raw materials and pay a great deal of attention to how accords interacted. Many of his fragrances have a very beautiful evaporation curve. In general, pyramid is only one of many styles of fragrance construction, that is all. To see what it is like in its classical form look at Tabu, L’Air du Temps, Ma Griffe, Canoe. This is not to say that fragrances until Jean Carles devised his method had no pyramidal structures. Not at all, but the principles behind fragrance construction were very different until he developed his new perfumery style on the basis of very careful research of fragrance volatilities. His empirical work still forms the basis of the curricula in pretty much all of the perfumery schools. By same token, the fragrances created now are built differently too. This is not to say that all of the modern fragrances are linear. Far from it, but their forms may just not fit the classical pyramid. Victoria: Jay, you are welcome, I am glad if I could clarify my point a bit more! suzy: Victoria: over the years, I have been told many times by Sales Associates that if I touch my wrists together after applying perfume, I will “crush the notes”. I’ve always thought this sounded absurd. However, a perfume SA whom I respect recently gave me the same warning –she said that I would crush the top notes. It still sounds ridiculous to me, and completely un-scientific. Is there any truth in it? I can think of no one better to ask than you. Victoria: Suzy, you’re right, you can’t crush the top notes even if you wanted too. Maybe, and that’s a stretch, if you were to rub your wrist super vigorously, then you would speed up the perfume drying down (top notes are the most volatile ones as a rule). But you won’t change or ruin perfume if you touch your wrists together. suzy: Thank you so much for confirming this! I wonder what advantage there could be in perpetuating such a myth. Perhaps it’s to get people to spritz more liberally so that they’ll need to repurchase sooner. I have come to drop a certain amount of “monolaurin” caps into my colognes. For whatever reason (I’m not into science), this seems to be an ideal way to enhance the length of time a fragrance will last. I suspect it is due to the antibacterial properties. However, what it seems to do is act as an additional fixative, alongside the DPG in most commercial products. First of all I just wanted to say that this article is very informative and really shed some light on my – otherwise dark – path along my journey into perfumery. I first came across this article and the whole site back in 2011. After spending a couple of years practicing constructing my own fragrances – I have a fragrance line launching soon, by the way – in addition to smelling many different commercial fragrances, I have to agree that the fragrance pyramid – while helpful – causes widespread misinterpretation and it’s mainly because of lack of understanding on the consumer’s part. One main thing that people don’t realize is that when they smell a fragrance, the whole thing is smelled in unison. It may morph slightly throughout it’s duration but the whole smell is evident from the start. When people see a fragrance pyramid they automatically think they will smell the top, middle, and base accords in seperate layers at seperate times, but the truth is that all the notes interact with each other. Another thing that people don’t take into consideration is that while each note has it’s own aroma strength and volality, the concentration in which the notes are added will dictate it’s duration and strength. For instance, if I build a fragrance comprised of Lemon (top), Lavender (heart), and Chamomile (base), and I have Lemon concentrated lighter, of course it’s going to be more volatile. If I were to take the Lemon note and amp it up, it may still be lighter but it’s presence may last throughout the duration of the fragrance. Lets flip this scenario around. Lets say I were to reverse the pyramid and have Lemon as the base note. Though it’s not a traditional base note because of it’s high volality, if I make the concentration strong enough in relation to the other notes, it’s going to last longer because it’s aroma strength has been increased. Moving on specifically to the subject of aroma balance, let’s take an example involving a mix of Lavender and Chamomile. An unskilled perfumer may – for example – take 40 parts Lavender and 40 parts Chamomile and call it an equal blend, but this is not the case. Chamomile naturally has a stronger aroma strength than Lavender, so therefore more of the Lavender note has to be added in order to truly form a balanced accord between the two. Natalia: Hi! Id love to know if theres a way of knowing which fragrances take animal musk, so that i can avoid it. Can you help? Is it very common? Is synthethic musk more widely used or less?